Stuff Points: Earn 17 points when you buy this stuff. Putting the fun back in functional, this large throw blanket features high quality construction, and super soft yarn, but as an added bonus, it also has a tail. Knitted acrylic provides comforting warmth with all-weather usability, and the durable material is nicely fluffy, and silky smooth to the touch. The tail fin at the base has one texture, and the top portion has a different texture that's reminiscent of fish scales. The realistic styling completes the look, and instantly transforms the user into a mythical sea creature. It's open at the top like a standard throw, but it's connected at the back throughout the lower portion, and this creates the tail, but it also makes it easy to snuggle up, and tuck yourself in. 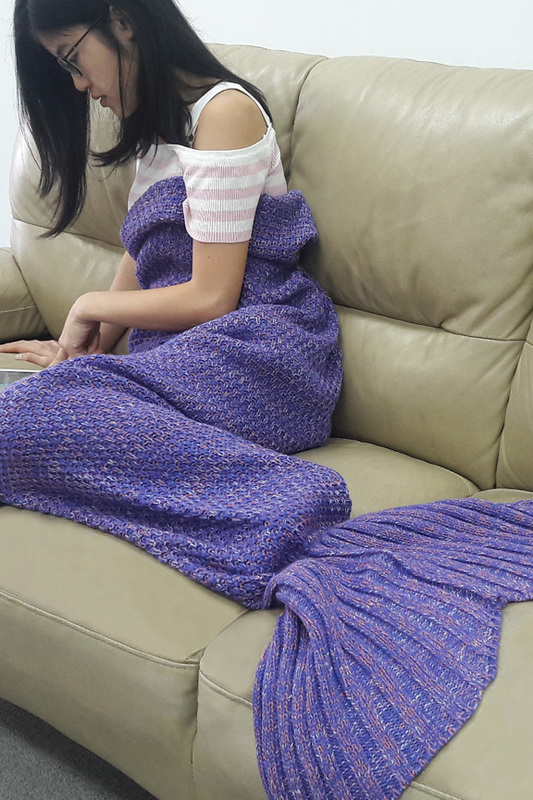 The base of the blanket is open beneath the mermaid tail to allow for airflow if you prefer, so anyone can maintain the ideal comfort level. Large sizing makes it perfect for adults or children alike, and with several color choices, it's easy to match any décor or preference. Top Quality. With only the best materials, and superior construction, this blanket will feel nicer, look better, and last longer when compared to other options. You'll never have to worry about loss of shape or fading colors, and you won't have to deal with thin material, or low quality stuff that pills when you wash it. All-Weather. Soft, warm, and perfect for the dead of winter, but thanks to the breathable material, you can also use it during warmer weather without being uncomfortable. Versatile. 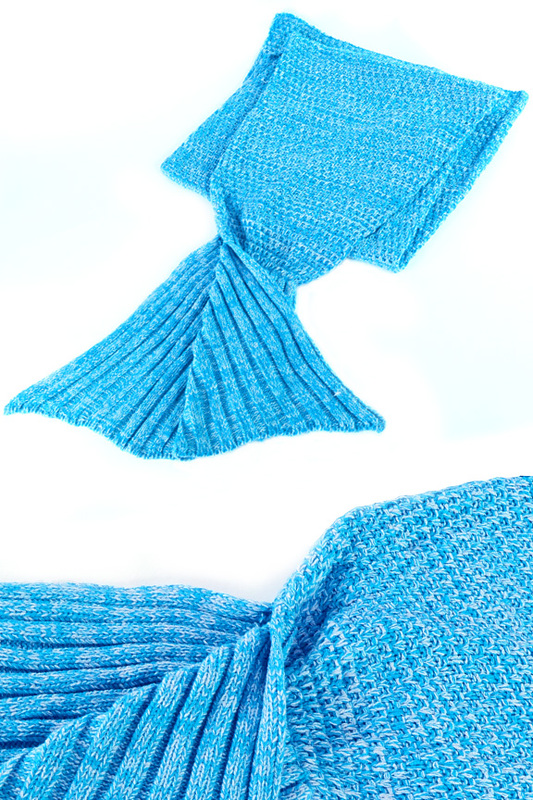 Fold to use in a sitting position as a lap blanket, or spread out to use as a full body blanket while lying down. Washable. Easy to maintain, this blanket is machine washable when dirty. Colorful. Vibrant yarn creates beautiful color combinations, and even with repeated use and multiples washings, the bright colors won't fade. Includes: (1) Mermaid Throw Blanket. Color Your Choice: Blue, purple, green or pink. Washable Yes. Machine wash gentle or hand wash recommended. Uses The perfect fantasy throw blanket for your living room or bedroom. 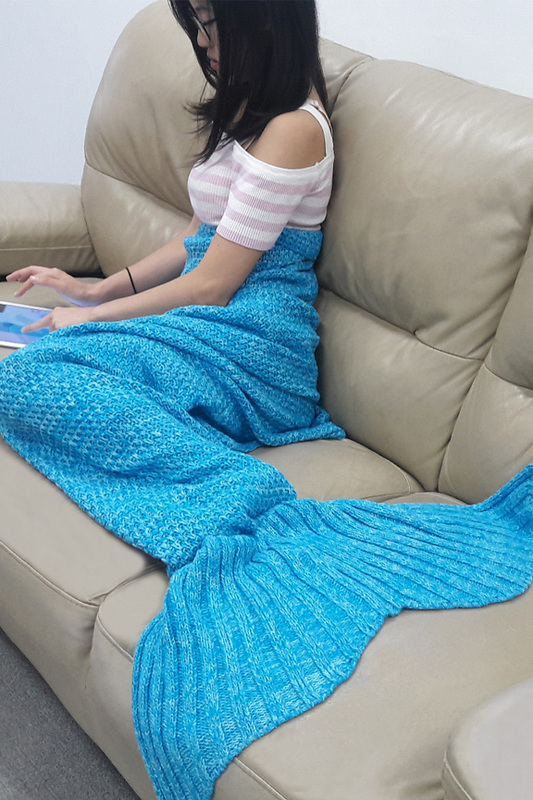 Vibrant colors, soft fabric, and a fun design make this blanket perfect for any mermaid lover.Order Yours Today!